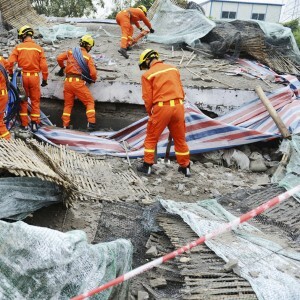 If a disaster strikes are you prepared to react? How do you plan to keep communication lines open if cell phone lines become overburdened, or Internet goes down? Anyone that works as a member of a professional first-respondent team knows that the most critical component of an emergency situation is access to communication. If a large geomagnetic storm or other disaster arrives, Internet based forms of communications will likely go down. 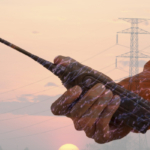 As long as two-way radios are not damaged, they will continue to work long past other forms of communication. This is why a two-way radio system can be life changing in the instance of an emergency, and why many businesses keep them handy just in case disaster strikes. Here we detail the importance of two-way radios and how radios are incredibly useful in times of emergency. 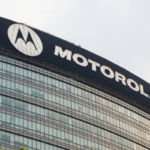 Why Are More People Getting Two-Way Radios Than Ever Before? In July of 2013, the monsoon flooding disaster in India sparked a movement around the world. Due to a lack of communication during the disaster, others have learned from the hardships people and businesses faced as a result. Many officials in other flood prone areas have since instituted radio facilities for emergency communication purposes. If you watch a lot of news, it seems like every few weeks another disaster strikes a different part of the world. 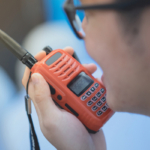 The awareness that anything can happen has sparked many individuals and businesses to invest in a two-way radio system. A cell phone might seem more high tech, but it is not nearly as reliable as a radio. Radios provide a great way to stay in contact with team members for everyday use, but this is especially true in times of emergency. Two-way radios offer so many benefits, here are 4 things your radio can do for you to help ease an emergency situation. In an emergency the last thing you want to waste time doing is guessing where your team is located. This wastes valuable time that might make a big difference in the overall outcome. Since many two-way radios come with GPS tracking capabilities, you can always see where your team is at in relation to the GPS on their radio. When most forms of communication cease working, you don’t have to be isolated and without contact. 2-way radios include their own channel that no one else has access to. For this reason, even if phone lines become clogged up, your 2-way radio will still operate without the need to worry about any competition. Keep extra batteries on hand, in the instance a radio battery goes bad you can simply swap it out for a new one. You might assume that two-way radios only work across a relatively short distance, but think again. Your own 2-way radio system can reach up to 300-miles in distance, meaning you will have contact with people far away from the immediate disaster location. Cell phones are fragile devices that break under very little pressure. In an emergency situation who knows what sort of things might be going on. Thankfully, quality 2-way radios are built to withstand a lot of wear and tear. For instance, if floodwaters are rising and a cell phone plops down into the water, not only is it likely broken but also it will quickly sink to the bottom. On the other hand, many 2-way radios are made to float on top of water as opposed to sink, and many are capable of withstanding up to a few feet of water for around 30-minutes. Some disasters stretch on for a considerable amount of time, which makes the durability of radios even more appreciated. 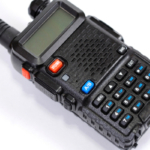 Not only are radios durable and able to withstand the unique pressures created by a disaster, but also they are lightweight and easy to carry around. If an emergency situation requires a lot of moving about, a radio is compact enough to not get in the way. You don’t want to purchase just any 2-way radio; cheap consumer grade models that are sold at the local corner store are not going to provide nearly the same reliability as a professional model. The advanced features that many 2-way radios come equipped with could make the difference between having a working radio and not having a working radio in the instance of an emergency. Want to be prepared no matter what disaster comes your way? Highland Wireless offers all of the latest two-way radio systems for improved communication and safety everyday and during disasters.